The inflatable neck cushion is a lightweight, crescent shaped cushion which sits around the back of your neck to provide extra support. It has a suede PVC feel and is ideal for travelling. When folded it will fit into your pocket. 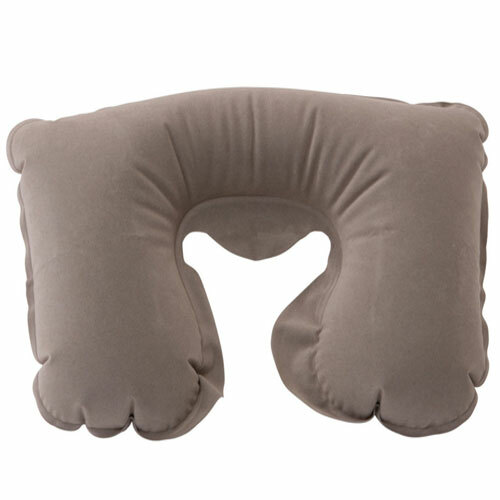 The inflatable neck cushion is a lightweight, crescent shaped cushion which sits around the back of your neck to provide extra support. It has a suede PVC feel and is ideal for travelling. When folded it will fit into your pocket. Can reduce muscle tension and it easy to inflate.